Begin the new year with a renewed commitment to writing! Reserve some time to write each day. Perhaps that’s what action will happen in the photo below? A small round table set for two sits in a corner of a darkened restaurant, bar, or lounge. 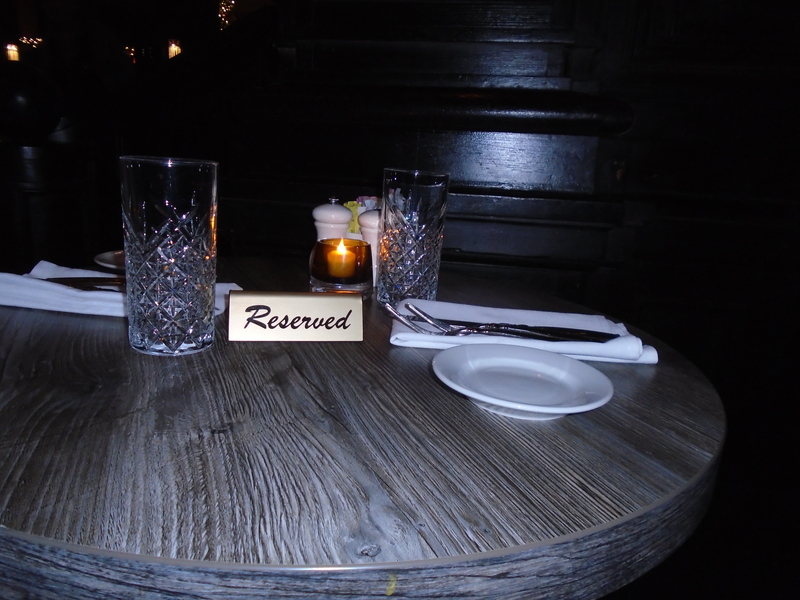 Especially reserved, but for who? Surely it’s not for a lone individual; there are two settings. Perhaps it’s for an elderly couple celebrating a milestone or a younger couple facing a new beginning. Or will one diner arrive and await the other? Will the awaited for party arrive? Maybe it is a table for one after all, and that person reflects on the loss of another. The possibilities are endless and a photo can suggest a thousand words. Where in the world might the table be? Who will make use of it and what conversations (or ones overheard) will transpire? What events led here or will occur later? The Poisoned Martini presents this photo to spark your creativity. Because of their visual nature, images vividly speak to writers and spark ideas for writing. View the photo, ponder what you see, and then put pen to paper or finger to keyboard. Write a scene, a short story, a chapter, a novella, or maybe even a novel. How many words will this image spur you to write?